The moms are back! Callie and Mariana are both really nervous to show their moms the Coterie and they also want to show them that they are doing great on their own in LA. 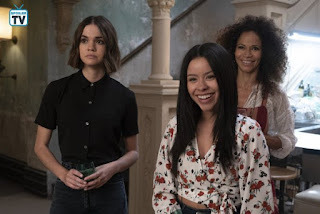 Basically everything that can go wrong in the Coterie goes wrong when the moms are visiting, including the moms getting high by accidently eating cannabis cookies. 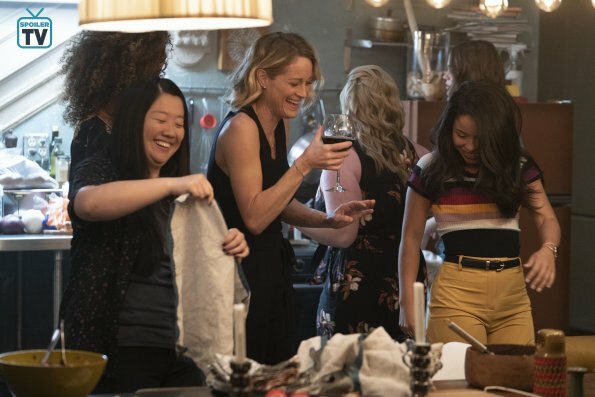 It turns out that the moms are dealing with some stuff of their own, Lena is struggling with running for state assembly and we get a flashback that shows a guy yelling at her and then spitting in her face. Stef is concerned about Dennis living in the Coterie but they have a heart to heart where he tells her that he used to have a son that died from cancer two years prior. He said he had the big house and a corporate job but after his son died he said that he couldn’t “play the game anymore” and be who he was. So he moved in to the Coterie to focus on his passions but also because no one asked him about his past. This weekend also happens to be the weekend where his son was supposed to turn eight. Everybody is having a huge dinner at the Coterie where we get so much drama, but the biggest being that Jamal Thompsons mum shows up and Callie storms out of the Coterie. She later comes back and talk with her moms and Malika and they think she should tell Judge Wilson about her relationship with Malika. I just hope that Callie gets to tell him before Ben does. 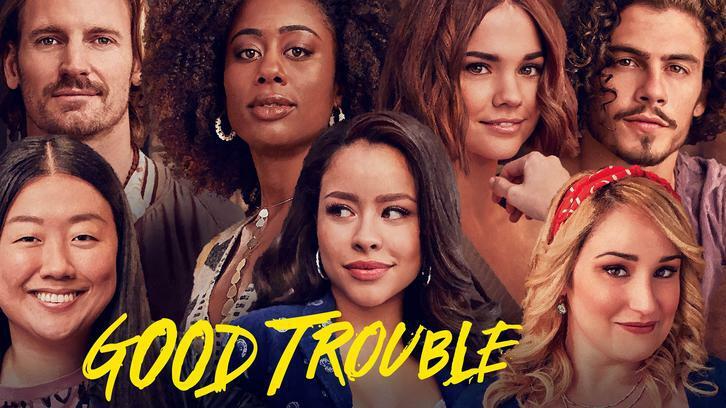 Overall, I think this was one of my favorite episodes of Good Trouble so far! 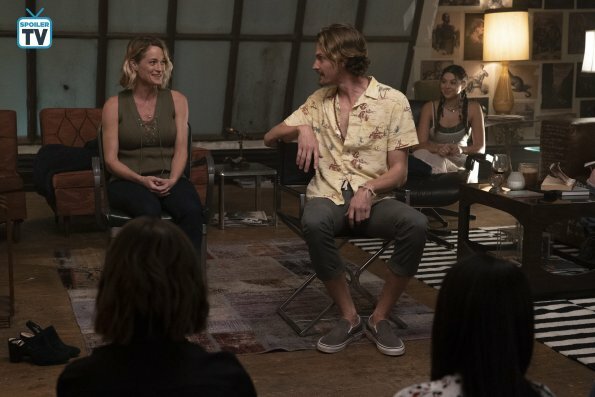 I just love Stef and Lena so much and I was so happy to see them back to help Callie and Mariana navigate their somewhat messy lives. But I also liked that we got to see more of Dennis because I feel like he was the one person in the Coterie that we haven’t gotten to know anything about so I’m glad we got some more backstory there. I loved the scene where Callie and Mariana argue and break down in front of their moms. They were trying so hard to keep it together but I just loved the whole scene where they actually acknowledge that it’s hard to be an adult and it’s hard to do it on your own. I also really liked the ending montage with the voiceovers when Stef and Lena are leaving the Coterie. Callie to Gael: “It isn’t for me either.